We are SO excited for our Volunteer Network Events! 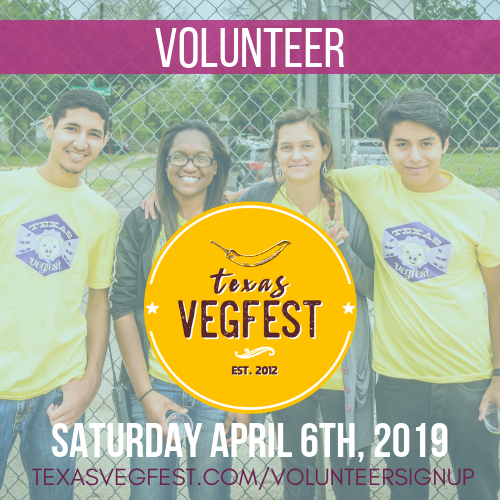 Through the years of orchestrating Texas VegFest, we’ve accrued a large team of hard-working and passionate volunteers. As dedicated as our volunteers are, they are not always able to help out with the festival each year. So we’ve developed a way to work more with volunteers while helping our community! Each second Saturday of the month, between 9am and noon, we’ll gather for a volunteer workday! We alternate our workdays between the Festival Beach Community Garden (backyard to the Texas VegFest venue! ), and a local animal sanctuary (we’ll pick a different sanctuary each time). 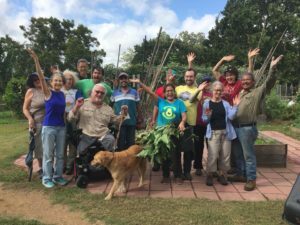 Volunteer Workday at Festival Beach Community Garden!